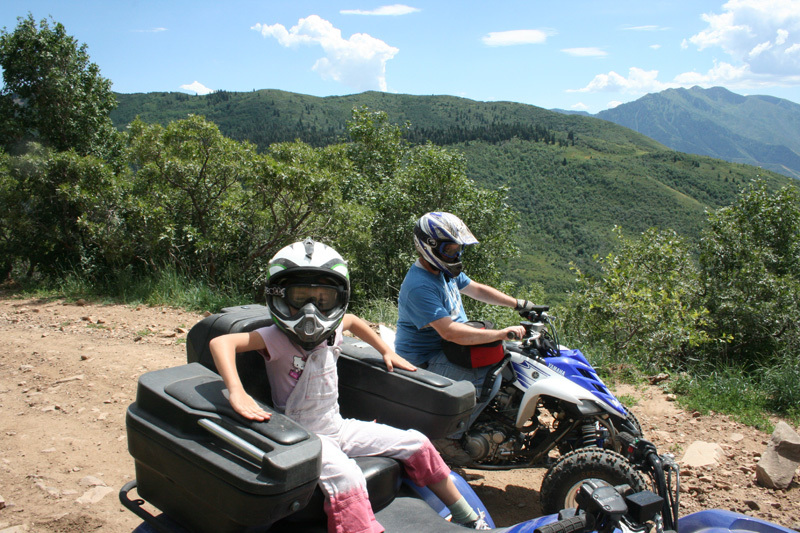 As a family we try to ride together at least once a month. 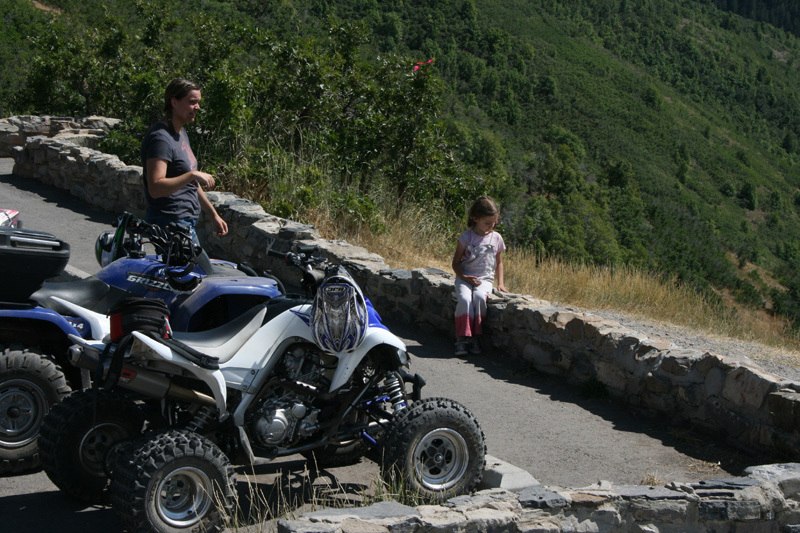 It appeared that the stars weren’t aligning for a trip this month but we did get out. 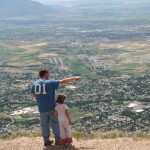 We were short on time and I had to be in phone contact with my work due to being “on call”. 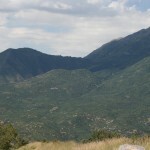 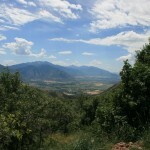 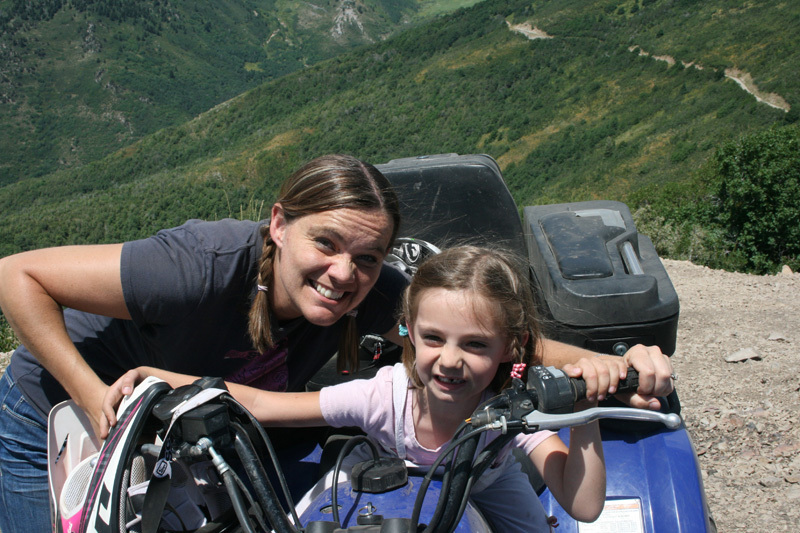 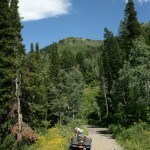 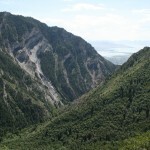 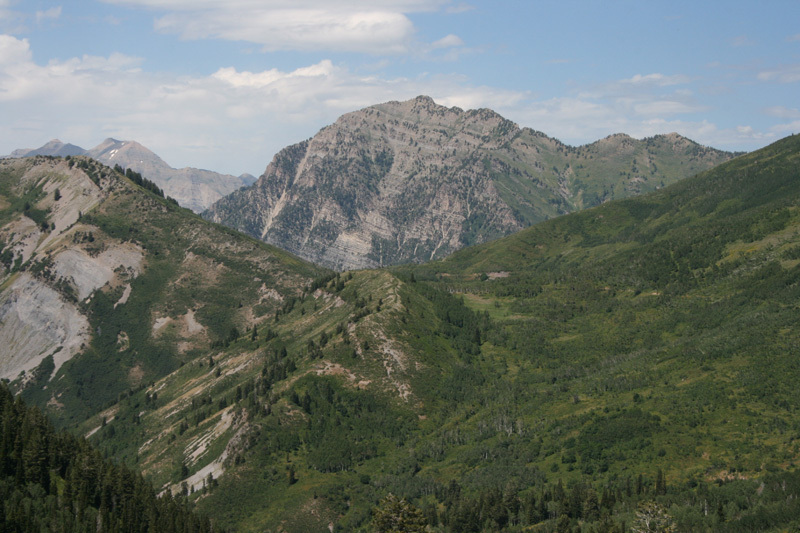 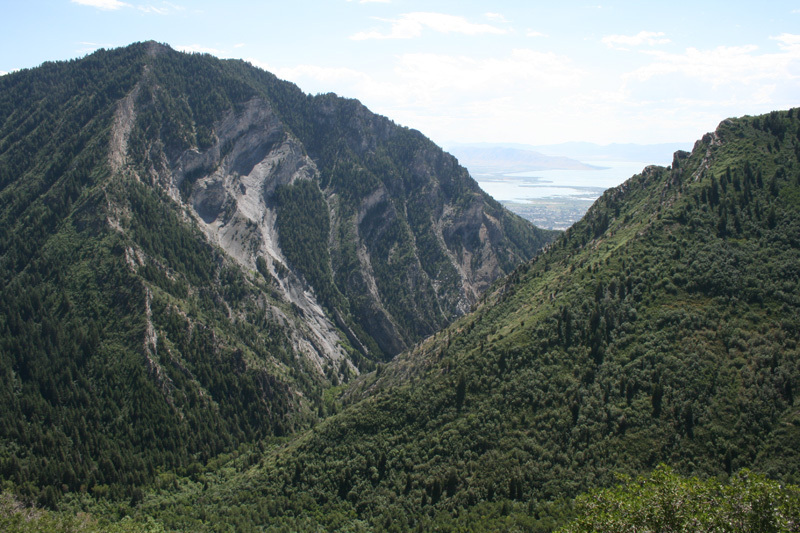 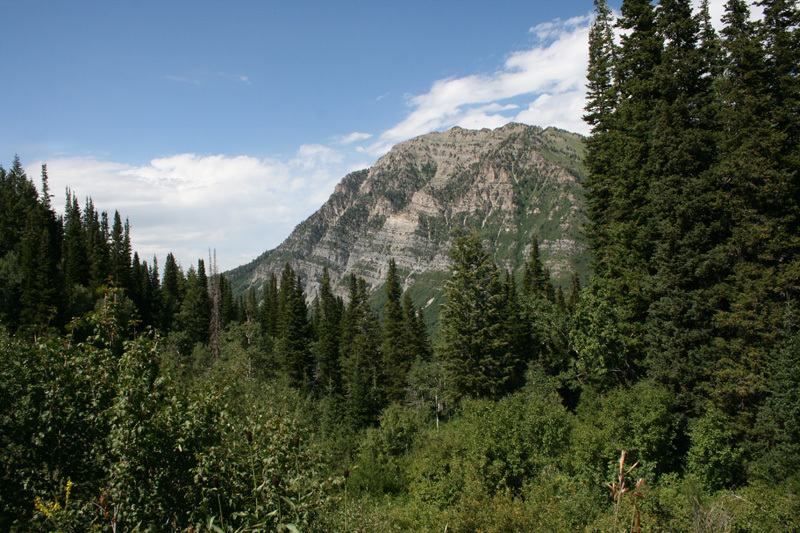 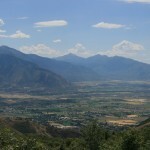 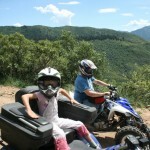 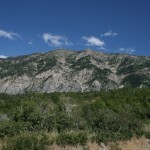 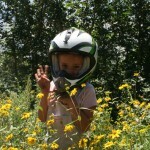 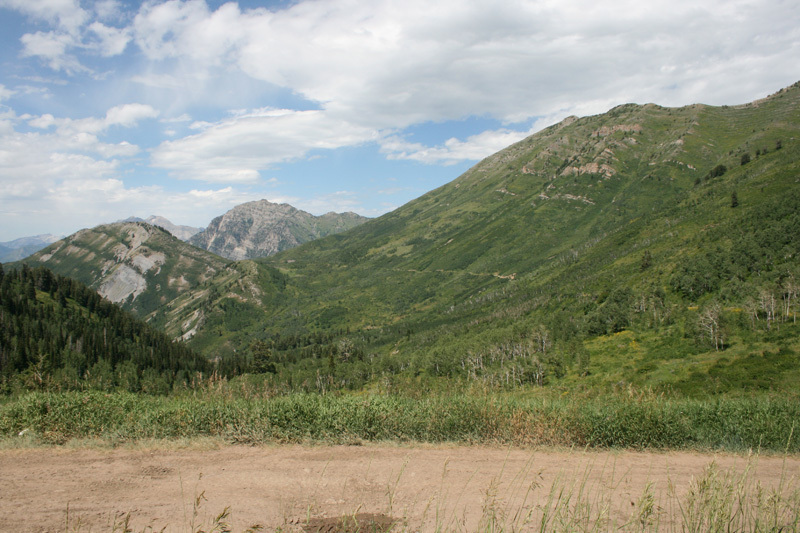 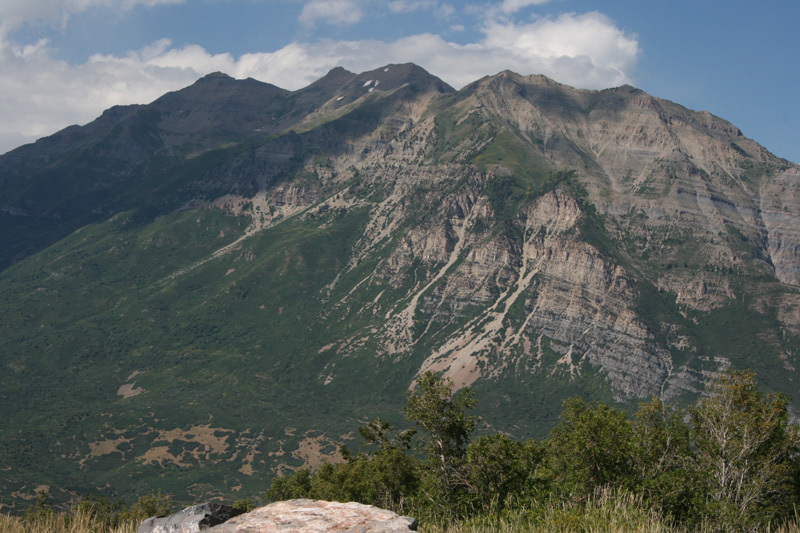 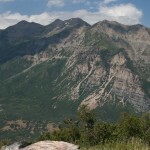 We decided we would ride the ridge trail from the north/left fork of Hobble Creek Canyon to Squaw Peak (Provo Canyon). 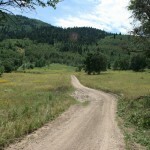 The route is officially known as Pole Haven Road. 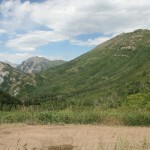 Public parking is about 4 miles up the road. 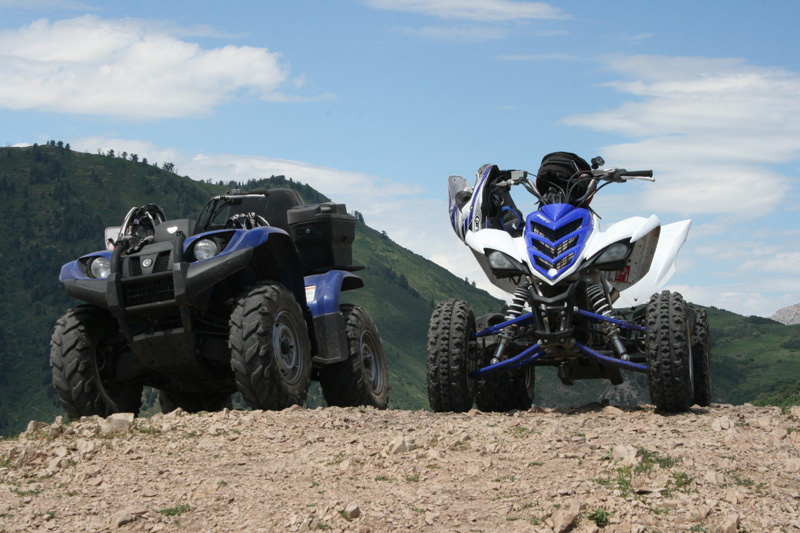 There is plenty of space to park with atv trailers. 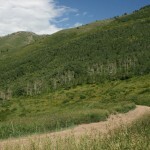 On the weekends this trail might get busy but I have never seen it bad in the 20 years I have been doing the trail. 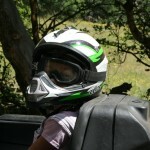 This trip was by far the busiest as far as traffic it was a Friday afternoon before school started. 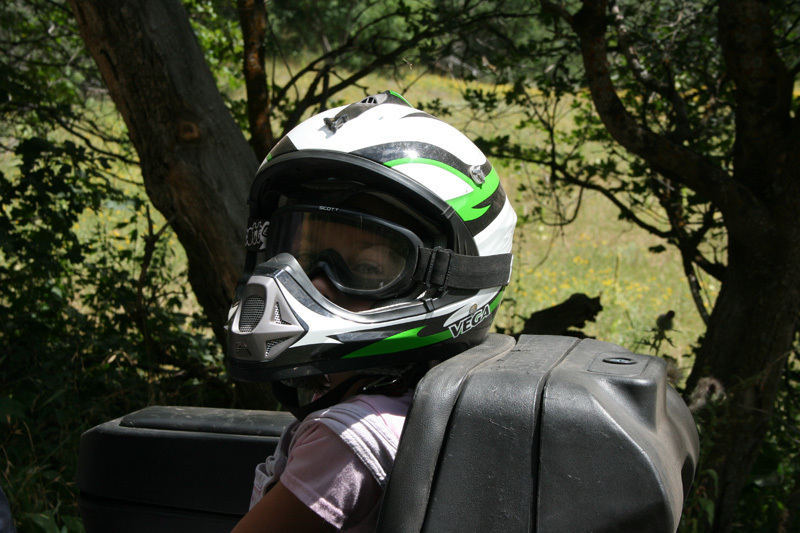 We saw 5 people on atvs, 1 SxS (side by side) and about 10 cars in the 40 mile round trip ride. 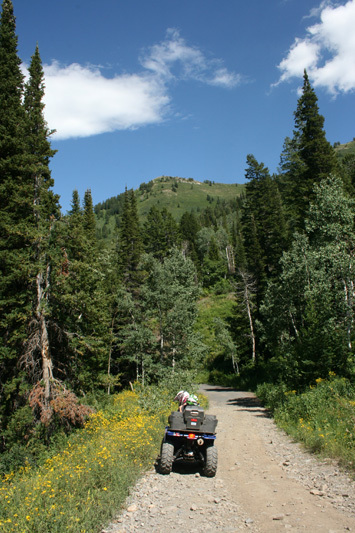 The ride is incredible scenic. 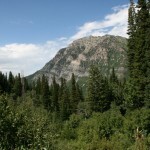 It starts out at about 5300 feet and will top out near 8900 feet. 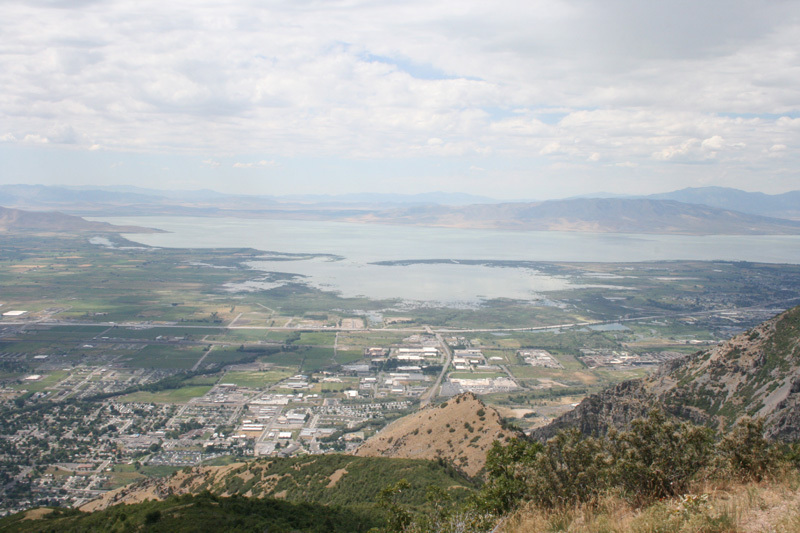 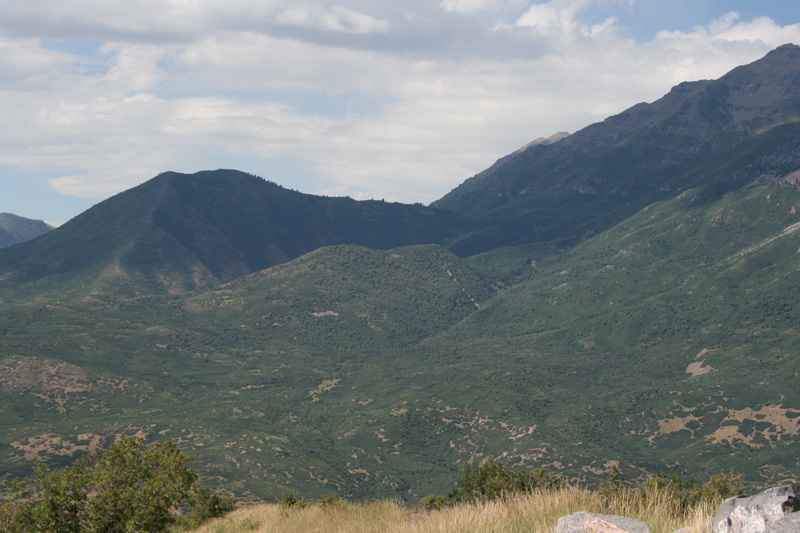 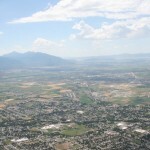 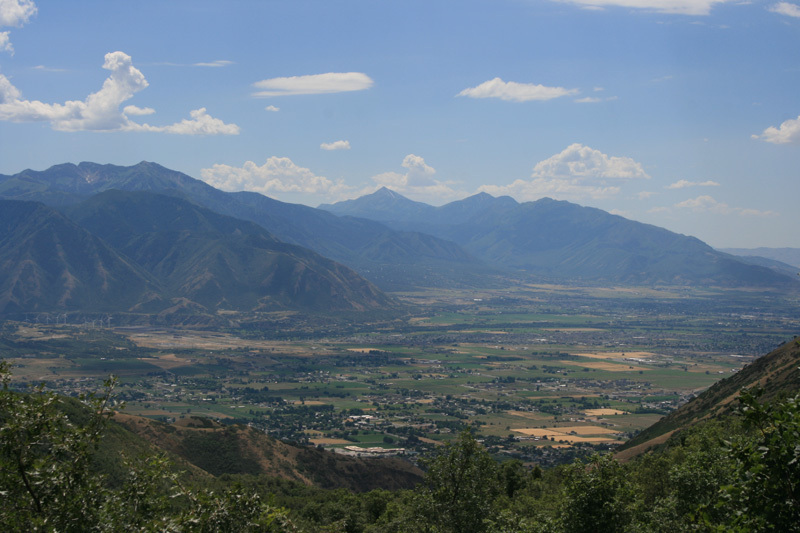 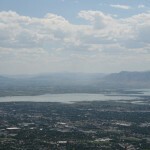 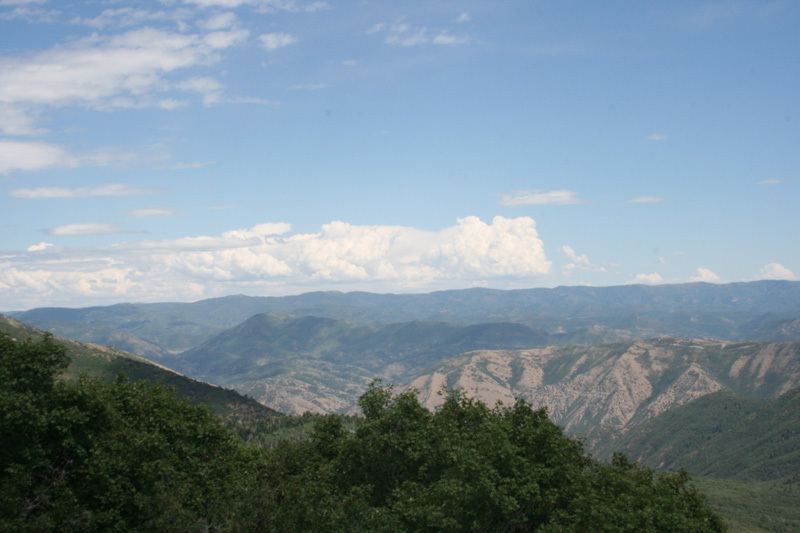 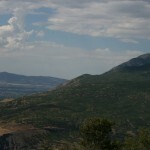 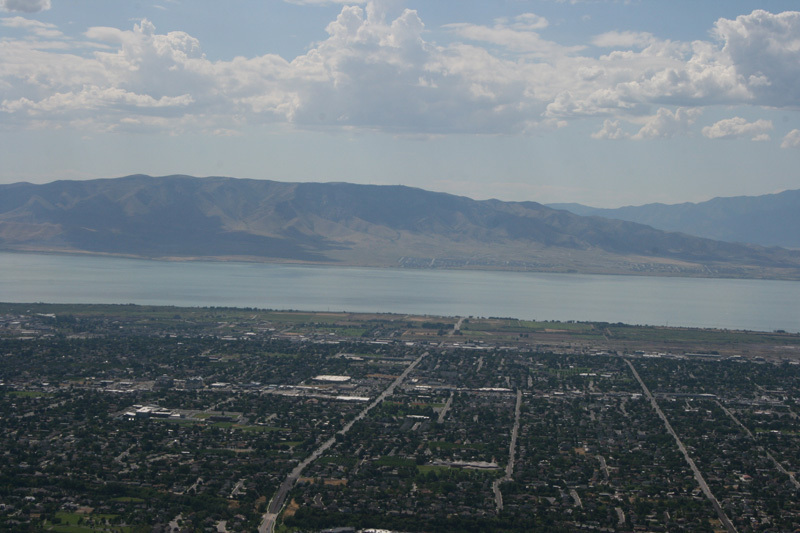 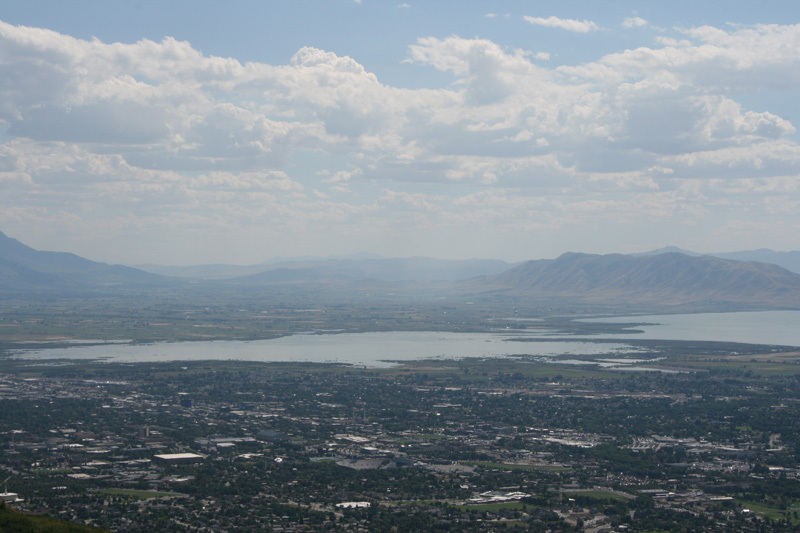 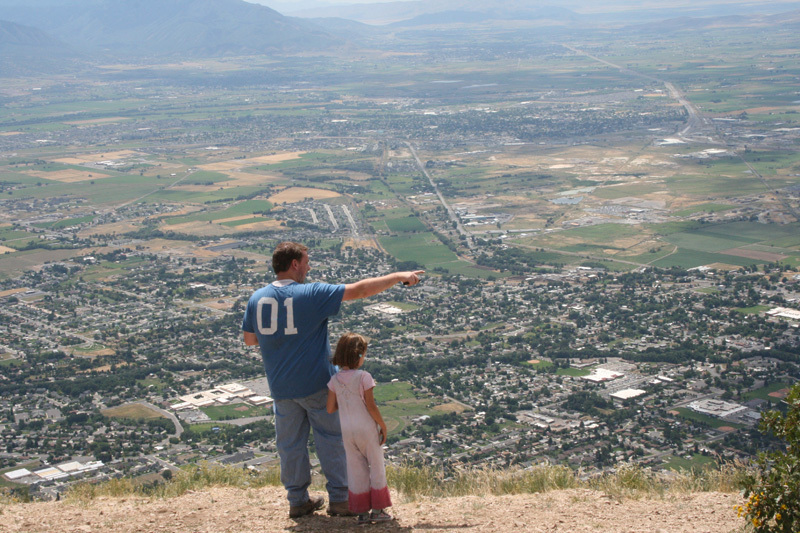 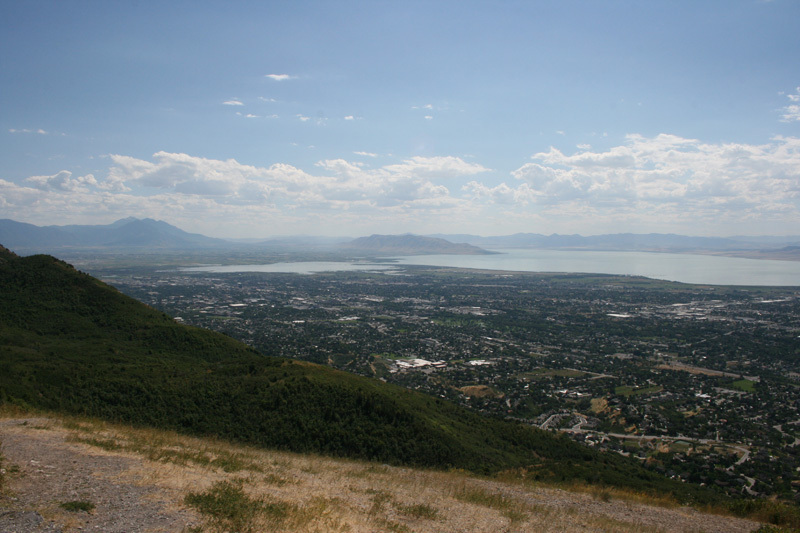 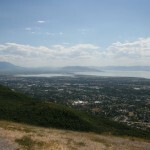 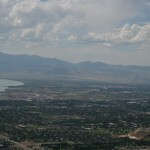 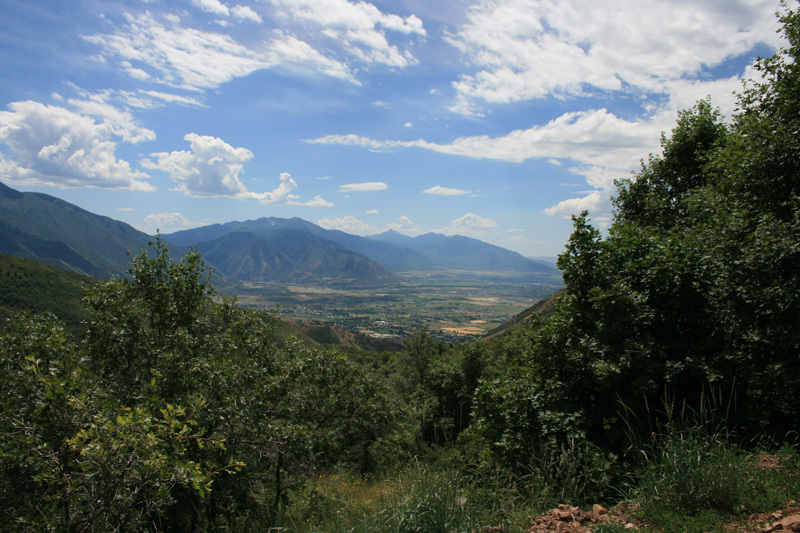 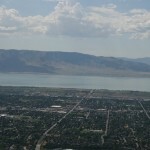 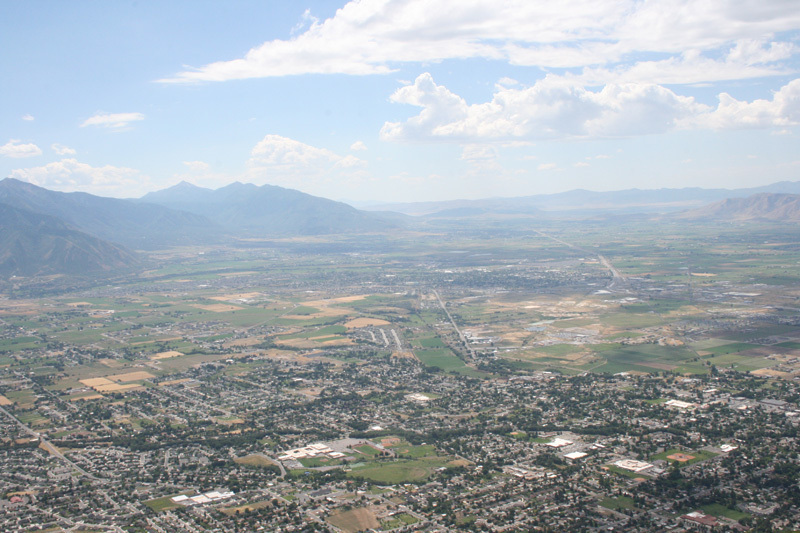 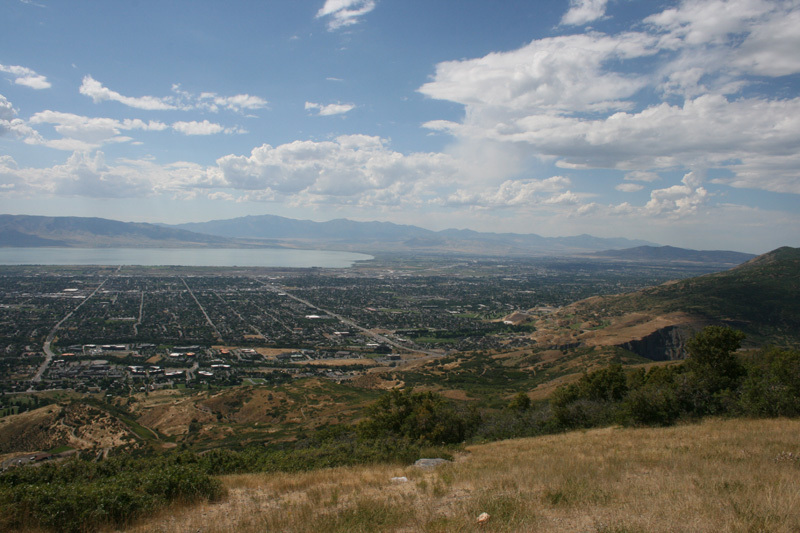 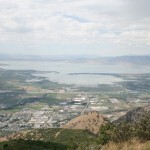 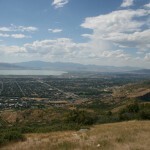 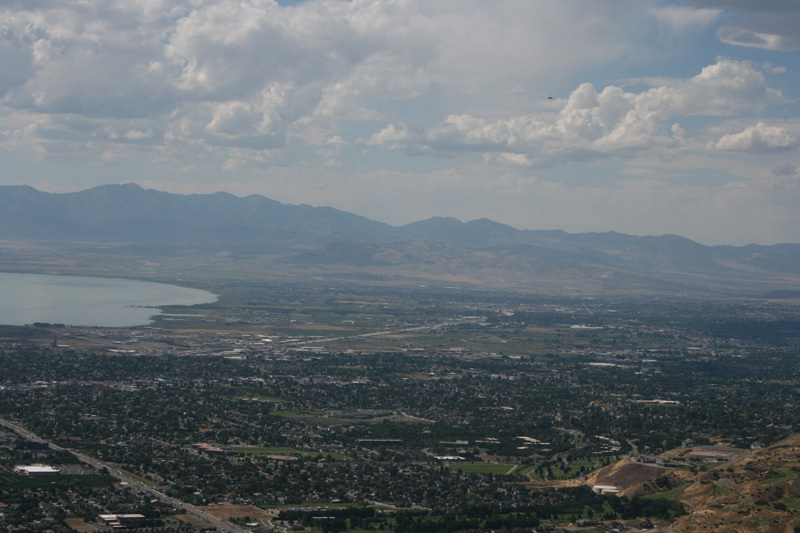 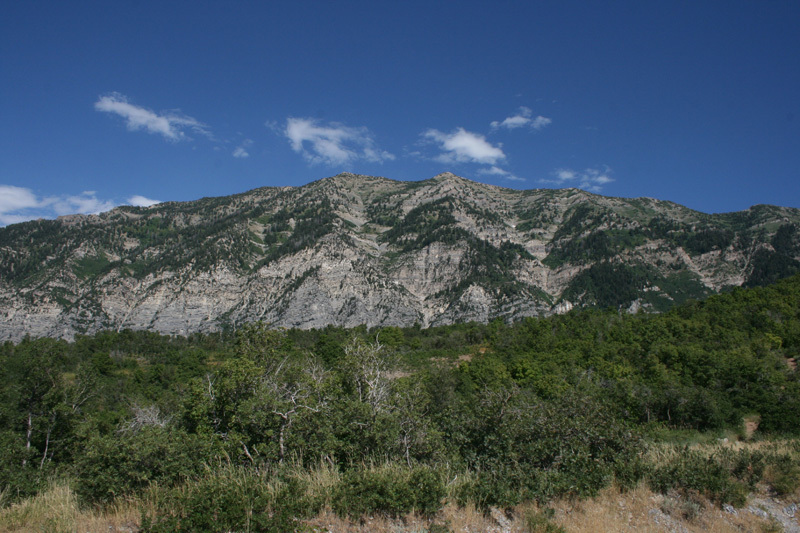 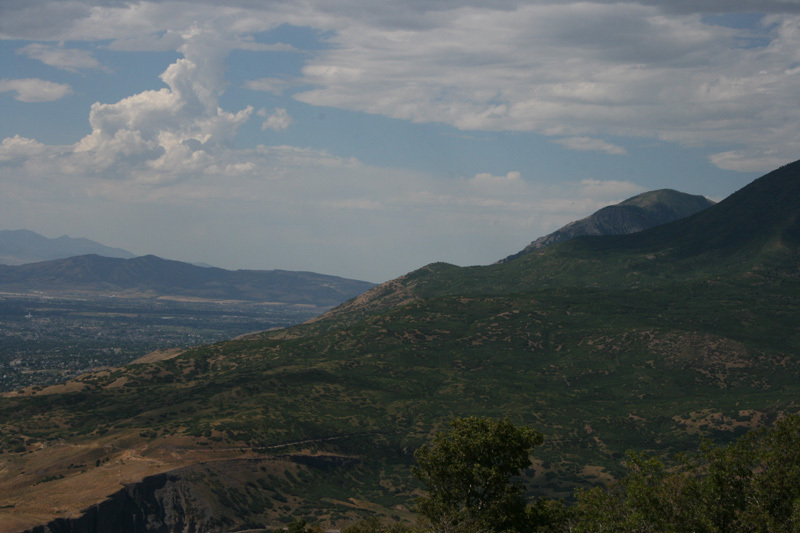 It is on the west side of the Wasatch mountains and gives spectacular views of Utah County from Mount Nebo in the south to Point of the Mountain. 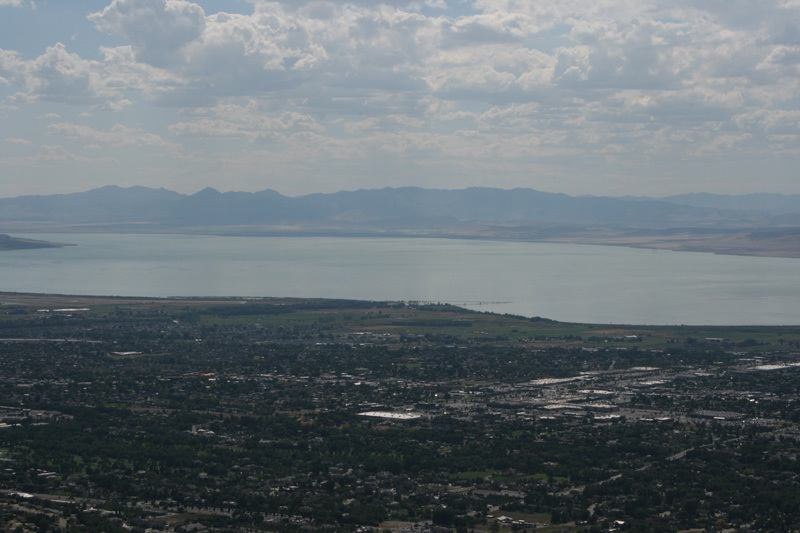 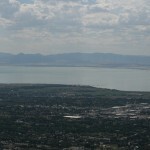 Utah lake can be seen from one end to the other. 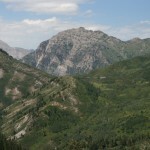 Squaw Peak road is a county road and the last mile of the trail is on their pavement. 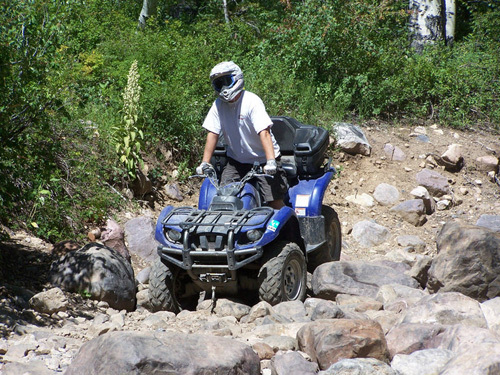 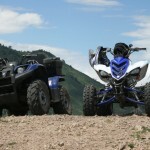 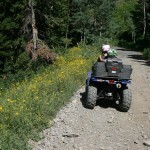 ATV’s are not legally allowed to drive on the county paved road. 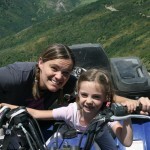 MyATVBlog is not responsible for tickets as you have been warned. 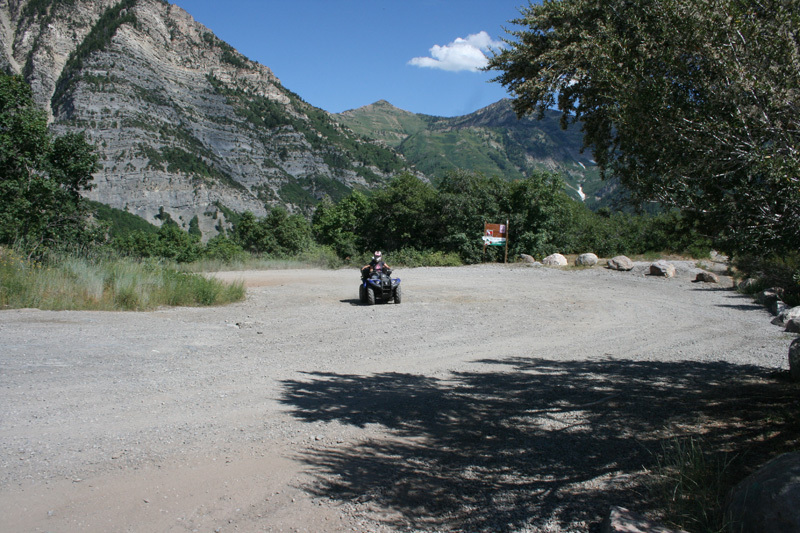 That said I have never had any trouble with Utah County Sheriff on the pavement to the overlook in the 20 years I have been visiting the trail. 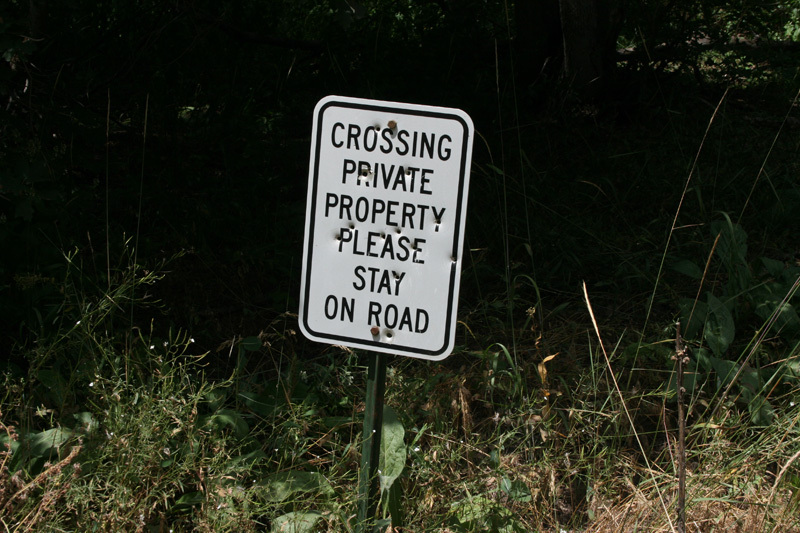 Distance: 20 miles one way. 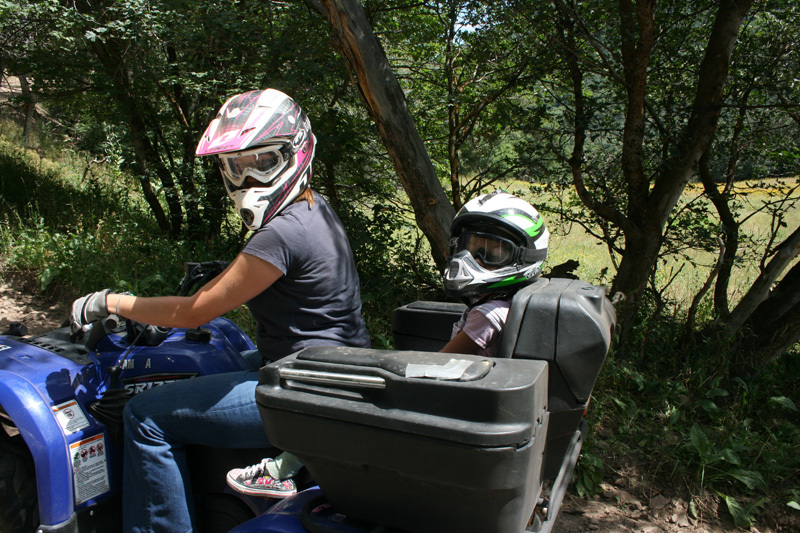 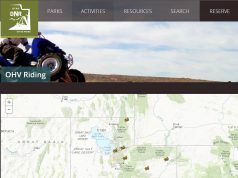 Camping: Plenty of Camping off the road or if you want to pay to camp without your atvs there are two camp grounds. 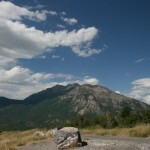 Hope Campground has 24 overnight camping sites. 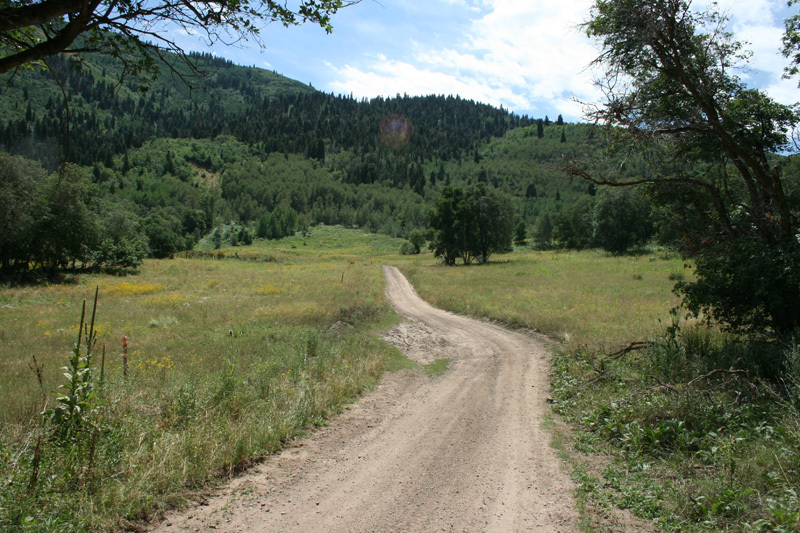 There are no improved hiking trails near Hope campground; it is the kind of place to park it if what you want is peace, quiet and solitude. 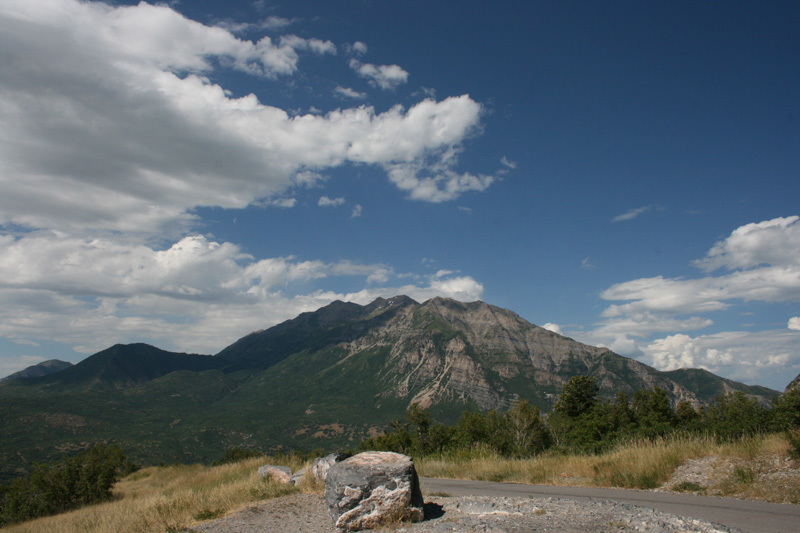 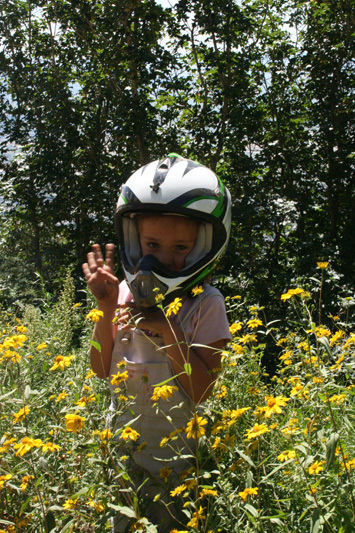 The best time to visit Hope Campground is in late spring or early summer. 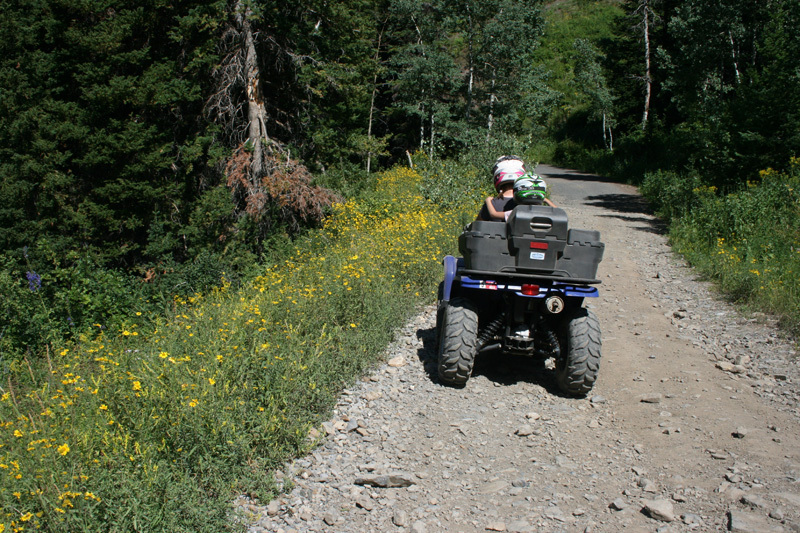 No ATVs/ORVs or horses allowed. 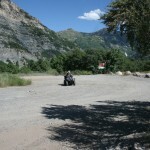 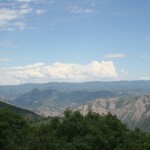 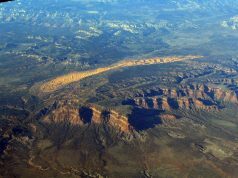 Rock Canyon Campground has seven overnight camping units. 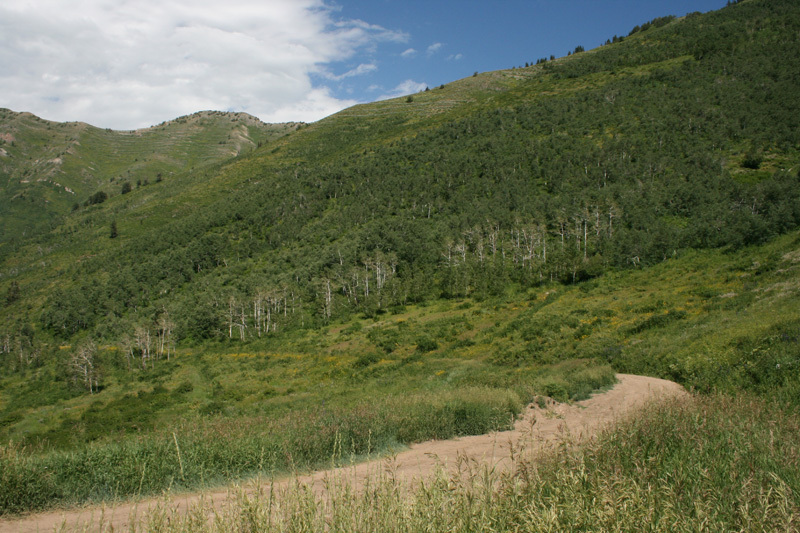 A stream passes near the campground. 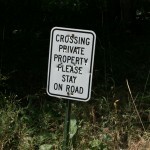 No ATVs/ORVs or horses allowed.